I read in one of the top car magazines recently that the Nissan Juke kick started the craze for mini-SUVs and that other car manufacturers are working hard to bring out rivals to the Juke to cash in on the market niche it created. That niche presumably isn't for elevated, ugly little blobs with 2 wheel drive and a front end that looks like it was designed by someone in the middle of an LSD trip. The so called niche is known as the Mini Sports Utility Vehicle. Given that the Juke was launched in 2010 I'd have to take odds with the magazine's assertion that the Juke created the MSUV niche. Normally that magazine imparts wisdom and knowledge on all matters automotive but it obviously hasn't heard of the Suzuki SJ413 or Vitara, or the Honda HRV or various Mitsubishis that have been quite a lot smaller and cheaper than the Shogun and other large 4x4s. I'd take further odds and say that the Land Rover Freelander, Nissan X-Trail and Mitsubishi Outlander have been around for absolutely donkey's years and none of those are exactly large SUVs. Maybe now they are known as MSUVs (Medium Sport Utility Vehicles). Actually, market sector micro-nichery be buggered. Nobody actually wakes up one morning and says, "You know what, I quite fancy a front wheel drive mini SUV crossover compact. Maybe I'll pop down my local dealer and see if they've got a Rover Streetwise in stock." Car buyers tend to fall into three groups - consumers, enthusiasts and company car drivers. Company car drivers tend not to go for MSUVs, instead preferring whatever BMW or Audi is available at the top end of their allowance with the least tax, and enthusiasts (if you are reading this then you probably fall into this group) wouldn't be seen dead in a car described as a mini-SUV. This leaves us with the consumers who are people that need a car and will buy whatever looks nice and suits them, doesn't cost much and won't break down. Thereafter consumers are unable to be subdivided in a short article as the myriad variations are almost infinite, but sufficient to say advertising and 'what the neighbours have got' often influence consumers decisions. Back to the Juke. It's small but tall, cheap (between £13,400 and £20,000) and most versions are two wheel drive. The engines are small, efficient diesel or petrol units. 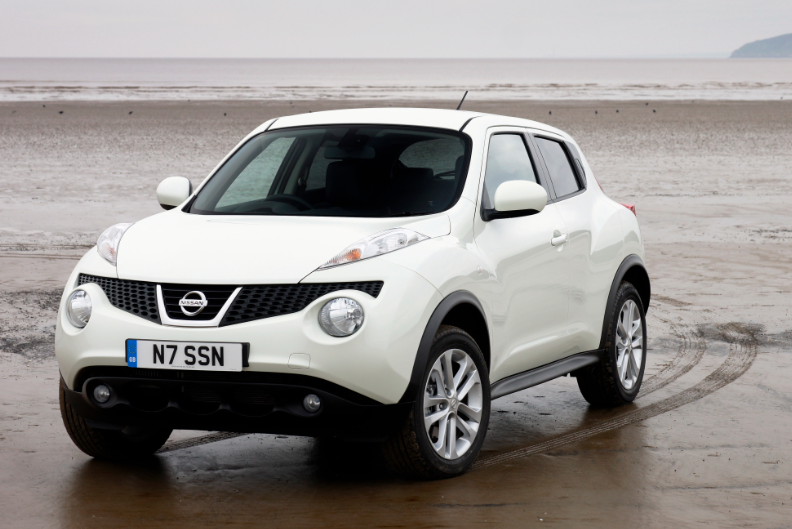 The Juke has been a huge success, which is why other manufacturers are trying to replicate the formula. I've seen this success. I drop my son off at school most days. He goes to a small, rural village school. A few years ago all the mums arrived in enormous 4x4s - X5s, Range Rovers, Q7s etc. Now they've all downsized to the Juke and it's ilk. MSUVs tend not to be beautiful or handsome cars. The Mini Paceman, Vauxhall Mokka, Ford Ecosport have all been rushed out to meet the demand for this niche. Mercedes' GLA will probably look better on the road than it does in photos. The BMW X1 looks awful. The Audi Q3 looks like a Ford Focus on steroids. If there is a point to this article it is that there is only one MSUV that I consider to have any semblance of credibility and that therefore any car enthusiast worth his or her salt should consider buying. It comes with two or, preferably, four wheel drive, can off-road, has economical yet powerful engines, looks good, is massively spacious and has been styled for what it can do rather than what a designer thought it should represent. Don't buy a Mini Sports Utility Vehicle. 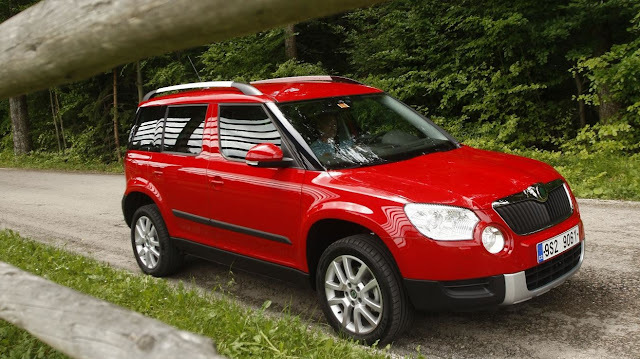 Buy a Skoda Yeti, which was designed not as a MSUV but happens to fulfil all the requirements of a MSUV. And is a good car. Leave the Juke and other MSUVs to the consumers.